Usually when I feature those who crochet, it's the talent that I'm featuring with a bit of a highlight on the style as well. 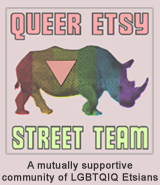 Today, I want to point out the style of some pieces I found on Etsy that I'm very partial to. The talent is, without a doubt, superb... but what really caught my eye? It was how these pieces are worn. Do you see in the picture how the slouch cap that the model is wearing helps to accentuate the curve of her neck and shoulder? I find how certain styles can do something like that absolutely remarkable and I've always been attracted to this style of knit hat and cap for this exact reason. When I ran across Arliaflower's shop on Etsy, I was charmed immediately not just by the style of her items but by the use of color as well! Bold, beautiful colors fill her shop and are beautifully photographed to show them to their advantage. Arliaflower's shop is filled with a fusion of handmade, crochet, stitched and macramed goods created from home or as she travels and learns from other artisans. She has hemp jewelry and crochet tams and headbands (which are currently on sale at 1/2 price by the way!) as well as dreadwear, headwear, hats, arm and leg warmers, scarves and much more to look through. 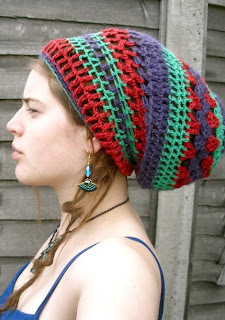 The creative artist behind Arliaflower is Hannah, who specializes in crochet dreadlock tams and headbands. She's been making these for about three years before more recently beginning to a variety of her handmade jewelry, clothing and other items as well. She has a passion for traditional costume, handmade fabrics (batiks, block prints, tye dyes etc) natural fibers and recycling which she does through collecting and using locally made materials from the different places she travels. Arliaflower also does custom work! So if you don't see exactly what you're looking for but you love Hannah's style and tastes, be sure to send her a note. In fact, I plan on contacting her myself. YOU CAN CLICK ON THE PICTURES ABOVE TO VISIT ARLIAFLOWER'S SHOP ON ETSY AND TAKE A LOOK AROUND OR, IF YOU PREFER, CLICK RIGHT HERE.